In the Marvel universe, Venom is a symbiote, a sentient alien, with a gooey, almost liquid-like form, requiring a host, usually human, to bond with for its survival. 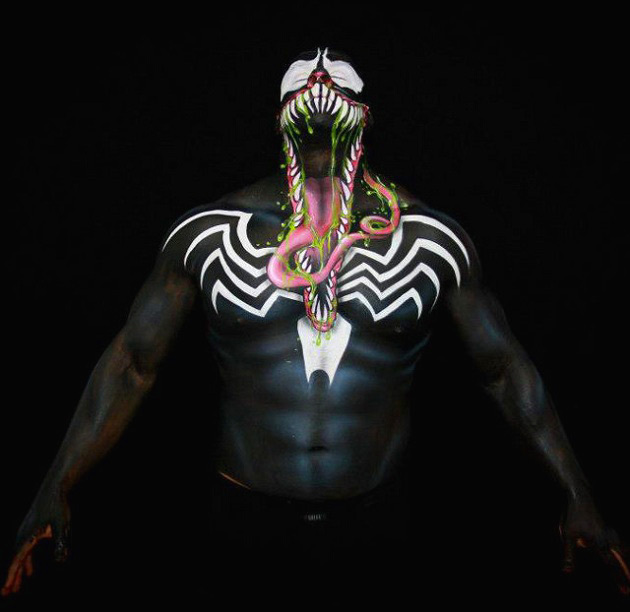 After bonding, the symbiote endows its enhanced powers upon the host. 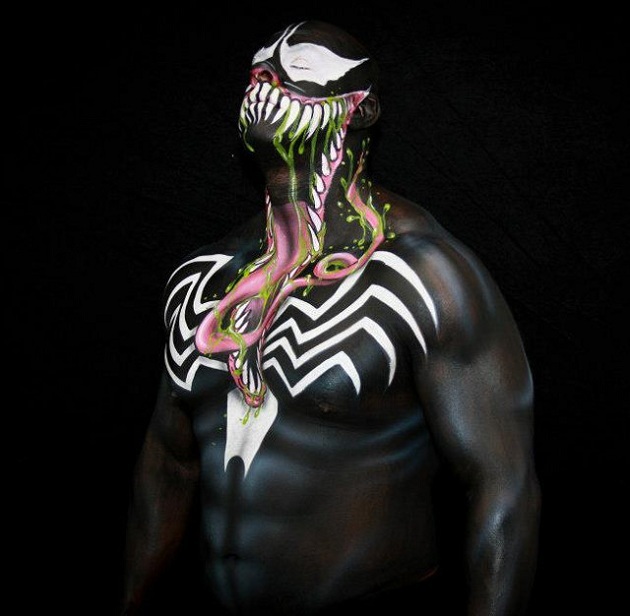 When the Venom Symbiote bonds with a human, that new dual-life form refers to itself as “Venom.” Georgette of Devious Body Art managed to create a real-life version of the comic book supervillain using only body paint. Continue reading for one more picture. The Venom Symbiote’s first known host was Spider-Man, who eventually separated himself from the creature when he discovered its true nature. The Symbiote went on to merge with other hosts, most notably Eddie Brock, its second and most infamous host, with whom it first became Venom and one of Spider-Man’s archenemies. According to S.H.I.E.L.D., it is considered one of the greatest threats to humanity, alongside Magneto, Doctor Doom, and Red Skull.